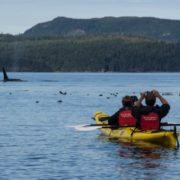 Our unique wilderness campsite location offers some of the best and most spectacular Orca sightings in the world. 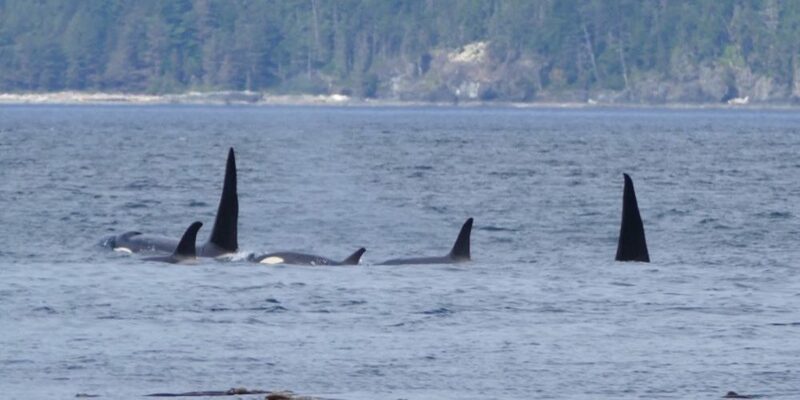 We are located directly beside the Michael Biggs Robson Bight Ecological Reserve where killer whales come to feed off the large amount of salmon in the area, the main food source for resident Orcas. 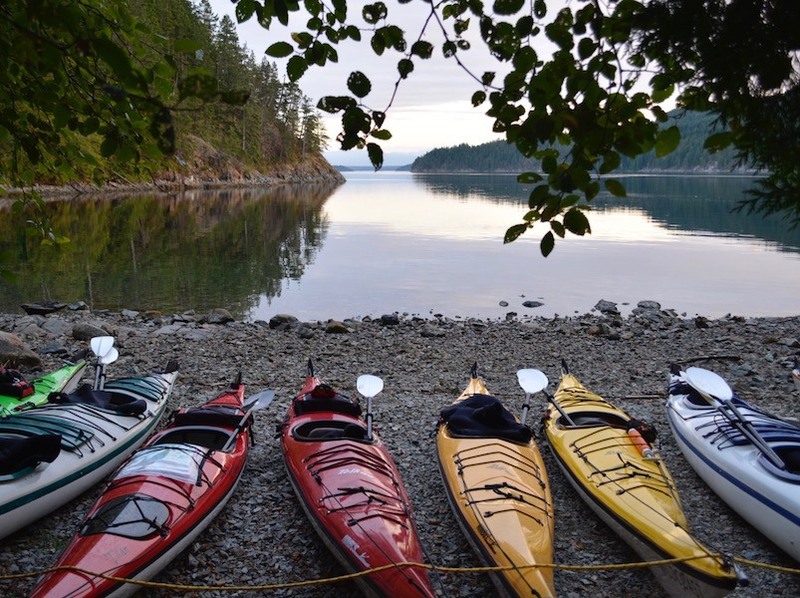 Whether you are out kayaking in killer whale territory or whale watching from the beach, Orca Camp is the place to be! While incredibly silent when slicing through the water, the sound of an Orca is breathtaking as they surface and expel air out of their blow holes. It’s also an amazing and fairly common experience to hear the whales breathing at night while in your tent. 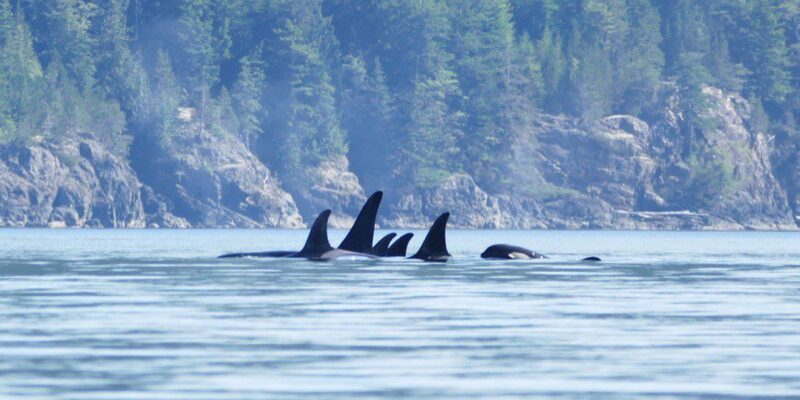 Want to increase your understanding of killer whales? Read the latest research and news in our Whale of an Update. 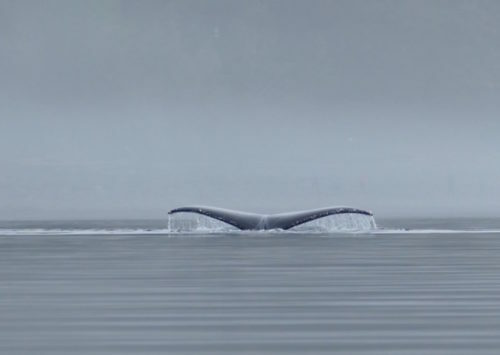 Want to learn even more about whale sightings? 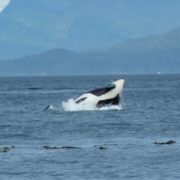 Photo-identification catalogue and status of the Northern Resident killer whale population in 2014 – this report summarizes the abundance trends in the northern resident killer whale population between 1974 and 2014 and provides an updated photo-identification catalogue of individuals. In 2014, the northern resident population was composed of 290 whales. 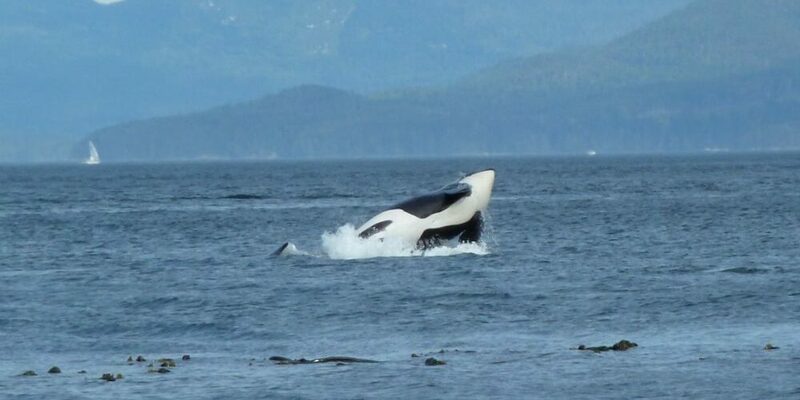 Photo-identification catalogue of the Transient killer whale (also known as Bigg’s killer whale) population in 2012 – Bigg’s killer whales are known to frequent coastal waters year round and are often silent and have only a small variety of known calls. 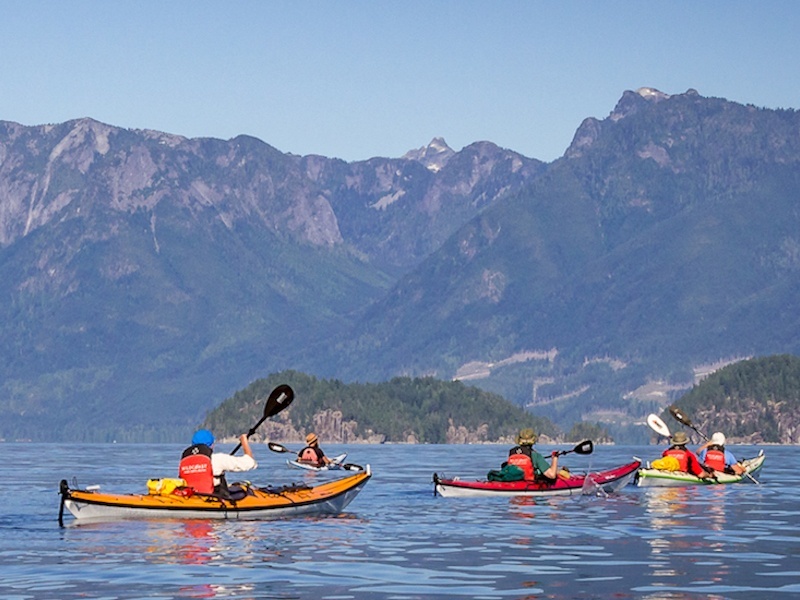 Wild Whales – the home of the B.C. 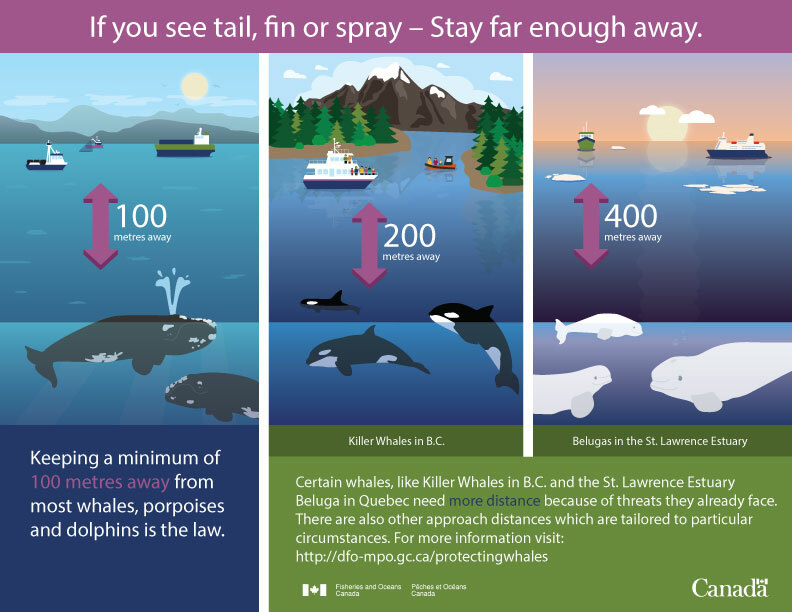 Cetacean Sightings Network, a conservation and research program of the Vancouver Aquarium, in partnership with Fisheries and Oceans Canada (DFO). 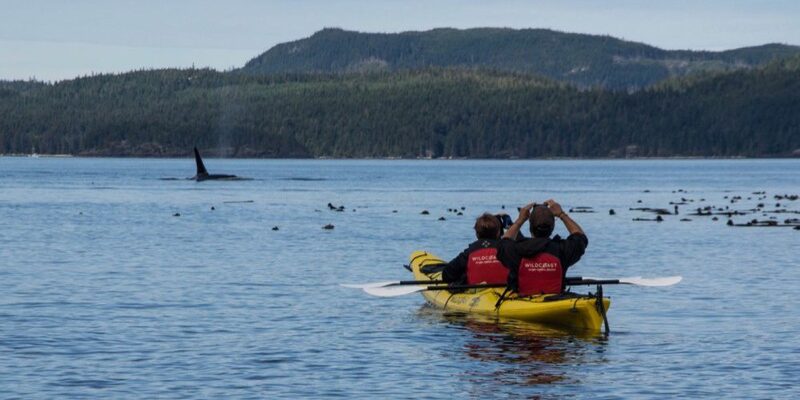 Wild Whales collects sightings of all cetaceans (whales, dolphins and porpoises) and sea turtles from British Columbia and surrounding waters. 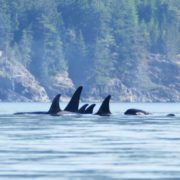 OrcaLab Cameras in Johnstone Strait (Live Feed)– Dr. Paul Spong established OrcaLab on Hanson Island in Johnstone Strait in 1970. 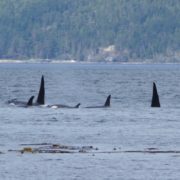 Located in the “core area” for visiting resident orcas, this location provides excellent opportunities to observe and listen to the orcas as they move about the area. 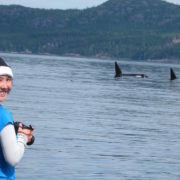 The Centre for Whale Research – a non-profit organization whose mission is to conduct benign studies of regional killer whales in order to conserve existing populations and inform both the government and the public of their ecosystem needs. 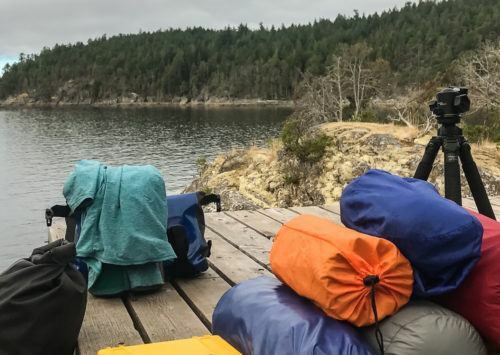 Cetus Research and Conservation Society – operating the Eagle Eye Research Station and responsible for the Robson Bight Michael Bigg’s Ecological Reserve Warden Program and Straitwatch. 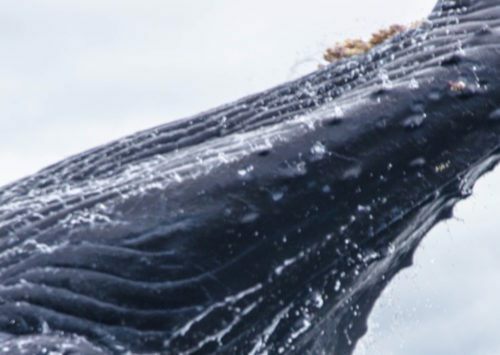 Their continuing research will lead to better understanding of the whales, their place in the ocean ecosystem and the conservation measures necessary to protect them. Check out their amazing work, watch for them out in the Strait, and join with us in supporting them! Vancouver Aquarium’s Wild Killer Whale Adoption Program – The Vancouver Aquarium has a long tradition of research on cetaceans (dolphins, porpoises and whales). 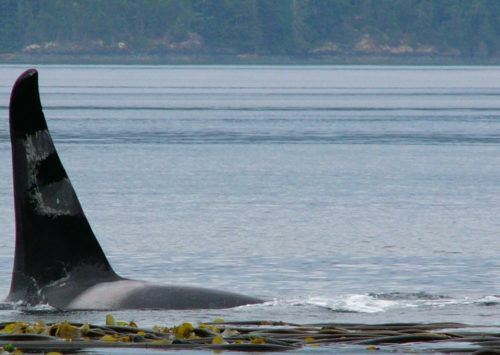 By adopting a wild killer whale, we’ve become a contributor to their research efforts. 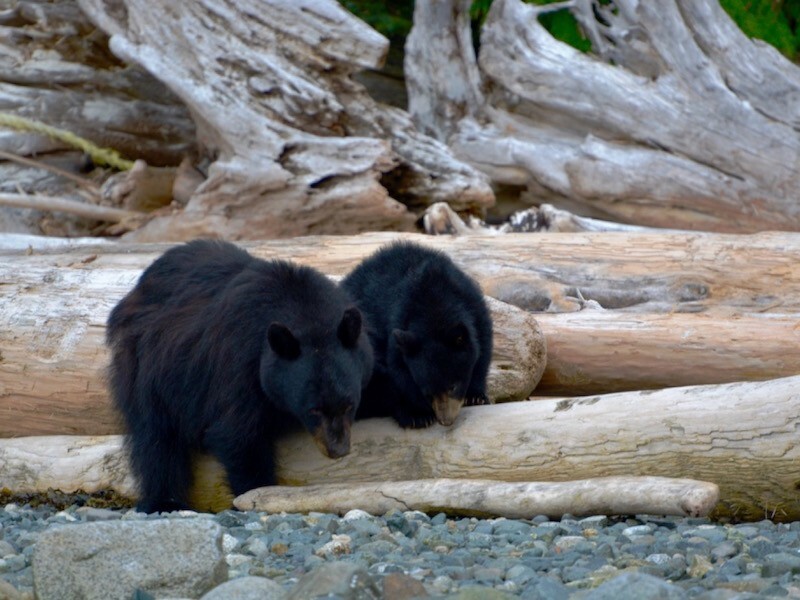 North Island Marine Mammal Stewardship Association – NIMMSA conducts conservation and business activities targeted to benefit marine mammals, the economy and the marine environment off northern Vancouver Island in British Columbia. NIMMSA members are involved with marine mammal research, conservation and responsible wildlife viewing experiences. The Marine Detective – Jackie Hildering, The Marine Detective is a biology teacher, cold-water diver, underwater photographer, and humpback whale researcher living on Vancouver Island. 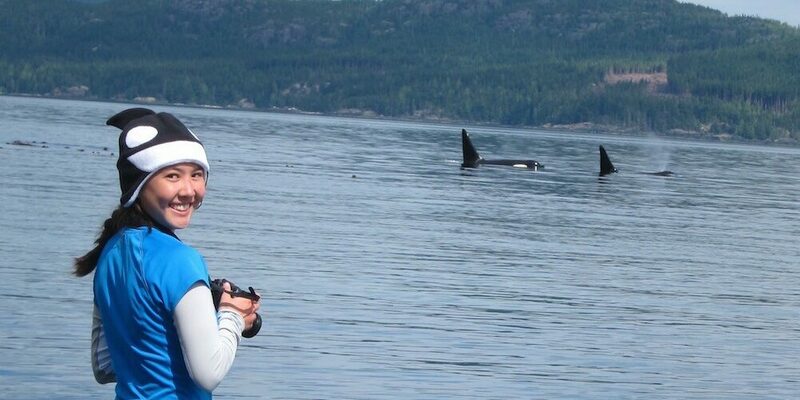 Renowned for raising awareness about life in coastal region of Canada’s Pacific Ocean, Jackie provides our staff with valuable insights into our local marine life. 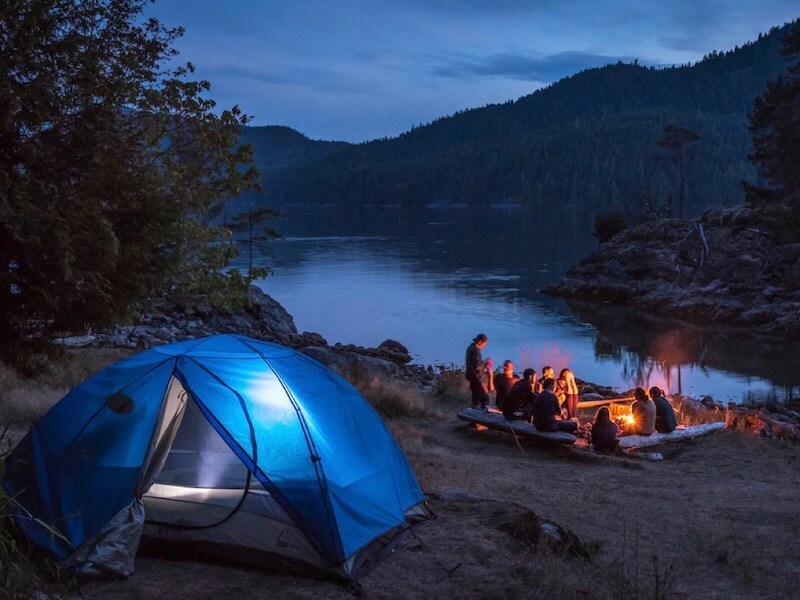 BC Marine Trails – The BC Marine Trails Network Association is a non-profit society dedicated to the creation of a marine network of campsites and access points along the coastline of British Columbia. Success to date rests with the hard-working volunteers and dialogue and consultation with First Nations, other stakeholder groups and government agencies.